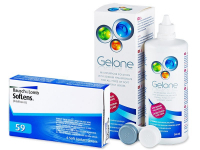 This economy pack contains SofLens 59 lenses in a package of six and a 360ml bottle of Gelone solution. These lenses are designed for daily wear and have a monthly replacement schedule. SofLens 59 Contacts by Bausch and Lomb are an older model of hydrogel contact lenses for daily wear with a monthly replacement schedule. 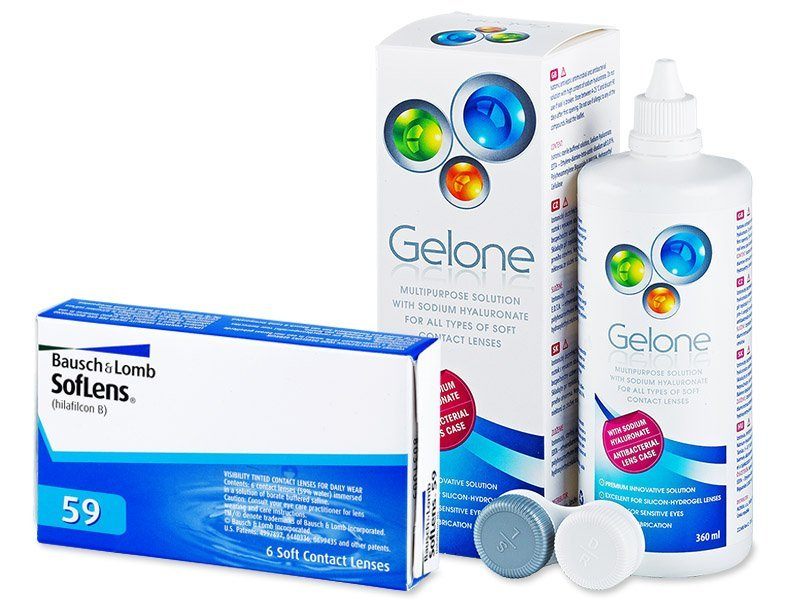 Soflens 59 contact lenses material allows the retention of large amount of water. The lens is then sufficiently moisturised and resistant to unhealthy deposits.